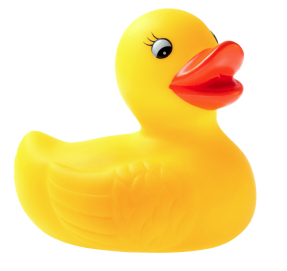 This year’s annual duck race, to raise funds for the Schroon Lake Association, might be one of the fastest in the event’s five year history, thanks to Irene. That has the potential to make this Sunday’s race, a fast and furious event. And you can be part of this fun event by “adopting” a duck! This Saturday the Schroon Lake Association will have a booth at the annual garage sale in the Town Park. For $5 you can adopt a duck and have at shot at the top cash prize of $100 if your adopted duck finishes first. ($75 and $50 for 2nd the 3rd place finishers). Then come back the next day and cheer on your duck is released into Mill Creek and floats to the finish line, where the creek flows into Schroon Lake.